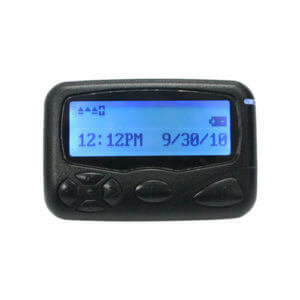 Compact alphanumeric pager is mini size, with 4-line display and 3 navigation buttons. The pager 924 is a perfect solution for: Dispatch Centers, Facilities Maintenance & Engineering, Healthcare, Power plant, Oil plant etc. 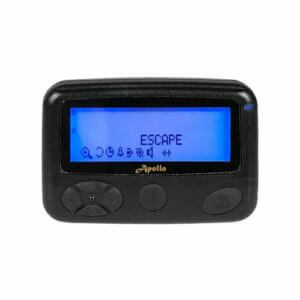 Gold Apollo Wireless Compact alphanumeric pager A25 is pocket size, with 4-line display and 4 navigation buttons. The pager is a perfect solution for: Dispatch Centers, Facilities Maintenance & Engineering, Healthcare, Power plant, Oil plant etc. 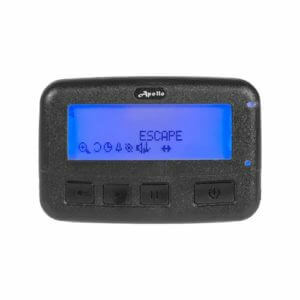 Gold Apollo Wireless Two-way pager AL-125 is easy to use, with 4-line display and 4 navigation buttons. 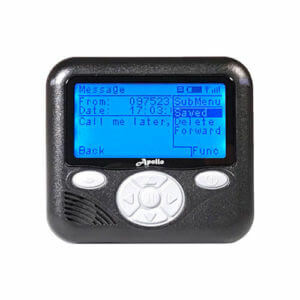 The pager AL-125TR can create pre-programmed message for reply to the questions. AL-125 is suitable for most industries as following : Dispatch Centers, Facilities Maintenance & Engineering, Healthcare, Power plant, Oil plant etc. 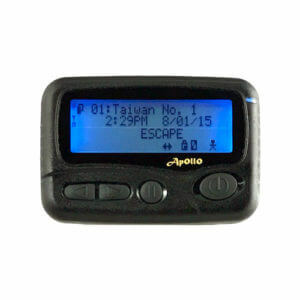 Gold Apollo Wireless Compact alphanumeric pager is pocket size, with 4-line display and 6 navigation buttons. Pager A26 is a perfect solution for: Dispatch Centers, Facilities Maintenance & Engineering, Healthcare, Power plant, Oil plant etc. Paging Technology has to be provided the critical communication. Even today pager has more reliable, survivable and affordable. 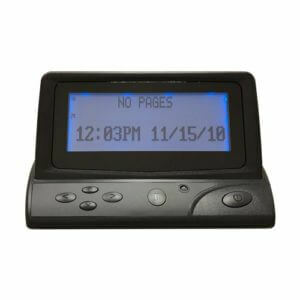 Gold Apollo offers paging solution, both with POCSAG & FLEX, message display including Alphanumeric / Numeric / Voice type and paging transmitter for many industries such like hospital, system integrated or any emergency organization necessary. 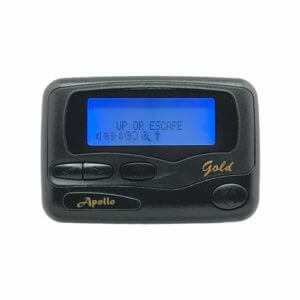 Gold Apollo Wireless Rechargeable alphanumeric pager with extra large 4-line display and 6 navigation buttons. 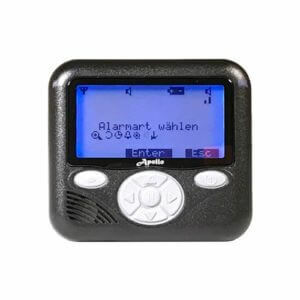 The pager AL-A28 is IP54 rating for dust and water protection. AL-A28 is suitable for most industries as following : Dispatch Centers, Facilities Maintenance & Engineering, Healthcare, Power plant, Oil plant etc. 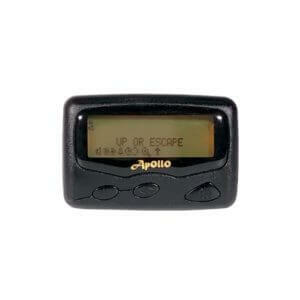 Gold Apollo Wireless Rechargeable alphanumeric pager with extra large 4-line display and 6 navigation buttons. The pager AL-A29 is IP54 rating for dust and water protection. AL-A29 is suitable for most industries as following : Dispatch Centers, Facilities Maintenance & Engineering, Healthcare, Power plant, Oil plant etc. Gold Apollo GSM pager with can message, contacts or the SOS contacts. Using SMS pager brings your organization benefits of reliable transmission of critical messages, low-cost distribution of frequent messaging. Gold Apollo Wireless Rechargeable GSM/GPRS pager with extra large 8-line display and 7 navigation buttons. The pager AL-A30 is IP67 rating for dust and water protection. AL-A30 is suitable for most industries as following : Dispatch Centers, Facilities Maintenance & Engineering, Police Forces, sales associates, Healthcare, Power plant, Oil plant etc. 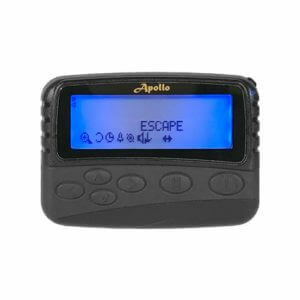 Gold Apollo Wireless desktop version pager TP-161 is the popular, the TP-161 is a bigger, brighter, louder, and easier to operate alternative to any handheld pager for desktop and vehicle use.